Bernstein is interested in this phenomenon as “memeufacturing” — a couple of social-media stars (or garden-variety celebs) post viral videos of themselves using an obscure gadget, and halfway around the world, factories shut down their e-cig lines and convert them, almost overnight, to hoverboard manufacturing lines. Bernstein cites a source who says that there are 1,000 hoverboard factories in South China — and another one, Chic Smart, outside of Shanghai, that’s threatening to sue all the rest for patent infringement (good luck with that). 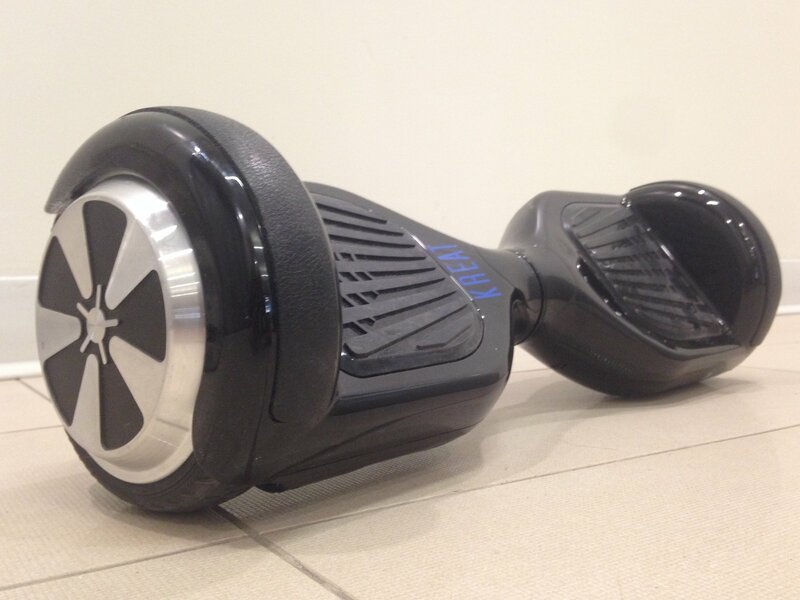 So we’re supposed to call them hoverboards? I want my real weather controlled, fusion powered DeLorean, then. By the way, maybe the Segway would have been an actual, y’know, revolutionary product if it had looked like this to start with.